Hair loss comes in different forms. Whether hair loss is caused by genetics or a traumatic life event, it can take a huge toll on one's self-esteem. The vast amount of hair-loss products available can make it difficult to discern what works and what doesn't. We poured over dozens of user and owner reviews and clinical studies to bring you a definitive list of the top hair-loss products on the market. Hair loss can be devastating for both men and women, even more so when there are loads of products on the market that don't work. According to the American Hair Loss Association (AHLA), two thirds of American men experience some degree of hair loss by the age of 35. By the age of 50, approximately 85 percent experience significantly thinning hair. Balding is commonly associated with aging, but for 25 percent of men the process begins before the age of 21. What's more, hair loss is not limited to men: The American Hair Loss Association reports that women make up about 40 percent of hair-loss sufferers in the United States. The majority of American men and women are affected by hair loss, known as alopecia, at some point in their lives, according to experts. Androgenetic alopecia (AGA), commonly referred to as male- or female-pattern baldness, accounts for about 95 percent of hair loss in the U.S., according to Better Nutrition magazine. Experts say pattern baldness is genetic and inherited equally in men and women. However, the hair-loss gene can only express itself when dihydrotestosterone (DHT), a male hormone, is present. Because estrogen usually suppresses male-hormone production, women don't typically experience pattern baldness until after menopause has begun; although, even the slightest hormone shift can cause hair loss in women. The causes behind other types of hair loss -- including alopecia areata, telogen effluvium, anagen effluvium and traction alopecia -- and their treatment can be dramatically different. Hair loss is best treated in association with its underlying cause; therefore, it's recommend to seek medical help. Abnormal hair loss can also be a symptom of a more serious disease -- early diagnosis is strongly suggested in these cases. For the past two decades, scientists have made strides in developing hair loss treatments that are both safe and effective. However, the market is inundated with ineffective products; "99 percent of all products being marketed in the less than ethical hair loss treatment industry are completely ineffective for the majority of those who use them," according to the AHLA. Topical treatments like Rogaine use the active ingredient minoxidil -- originally used to treat high blood pressure. After researchers discovered that it also promoted hair growth, it was the first drug approved by the FDA to treat male pattern baldness. It is used topically on the scalp, and the success of treatment is dependent on the user's extent of hair loss. Researchers at the AHLA find its efficacy to be marginal in the long run since it has no effect on the hormonal process. Like minoxidil, finasteride, the active ingredient in Propecia, was originally created with a different purpose in mind -- to treat enlarged prostate glands -- and researchers observed it came with a side effect of hair growth. Unlike topical minoxidil, finasteride requires a prescription, is taken orally and addresses hormonal causes of hair loss. It inhibits the enzyme type II 5-alpha reductase, which converts testosterone into DHT. As it was the first truly effective treatment for hair loss that provided nearly guaranteed results, finasteride revolutionized the hair-loss-treatment industry. We detail proven hair-loss treatments that offer good performance by promoting the growth of natural-looking hair, and we take a hard look at all possible side effects associated with the treatments. 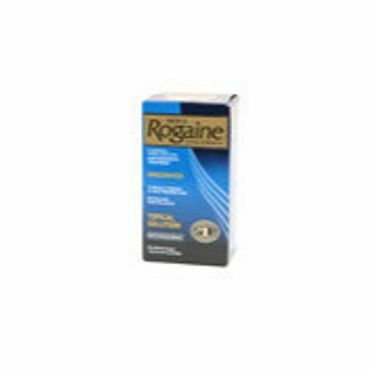 Experts say that Men's Rogaine Extra Strength Hair Regrowth Treatment (Est. $45 per 3-month supply) is a good starting place for men, and some women, in the early stages of pattern baldness. Studies show that approximately 90 percent of the time Rogaine at least slows the progression of hair loss and, for many, hair loss stops completely. It contains 5 percent minoxidil, which studies show to be more effective than the original strength of 2 percent (Est. $25 per 1-month supply). Both forms have been approved by the FDA for topical treatment of pattern baldness, but only the 2 percent strength has been approved for women; although, studies suggest that both forms are more effective on women than they are on men. Minoxidil is also available in several generic store brand products. Experts say the biggest drawbacks with minoxidil/Rogaine are that it has to be applied twice daily and that treatment must be continued for the rest of the patient's life in order to maintain results. All growth resulting from minoxidil use will fall out approximately three months after treatment is stopped. Studies show that Propecia is effective for 86 percent of men who use it, but doctors interviewed by USA Today say that "anyone who expects miracles will be disappointed." They explain: Only about one-third of men in the early stages of hair loss will regrow some with Propecia. These doctors say that it "primarily slow(s) down hair loss and improve(s) hair quality." 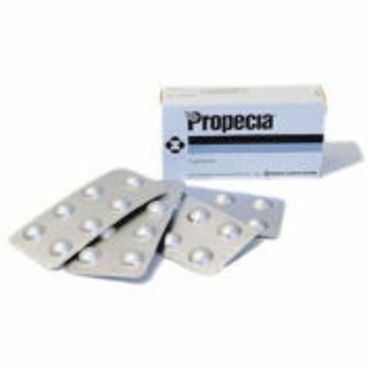 As reported at HairLossHelp.com, a five-year study published in 2001 found that Propecia continued to prevent hair loss but there was a "progressive decrease in the amount of hair grown over the five-year period." Experts say that it is effective at growing back more hair than minoxidil (Rogaine) but that it can take up to a year to see results. Some doctors prescribe Avodart off-label (meaning to treat something other than illnesses or conditions listed on the drug's label) to patients suffering from male-pattern baldness. Dutasteride, the active ingredient in Avodart, like finasteride, is used to treat enlarged prostate glands, but it blocks both types of the enzyme that create DHT, instead of just one. Studies show that dutasteride is superior to finasteride in treating AGA, but it has yet to be approved by the FDA for that purpose. Ketoconazole is another off-label treatment that stands out for treating hair loss. Ketoconazole is the active ingredient in Nizoral shampoo, and 2 percent strength is often prescribed to treat dandruff -- a 1 percent formula is sold over the counter, but reviewers say that it's not as effective. Many men choose to triple-treat their hair loss with minoxidil, Propecia and Nizoral shampoo. Studies show promising results with ketoconazole, though not any better than minoxidil or Propecia, but experts insist that further study is needed. Unfortunately, there has been little research into female-pattern baldness. 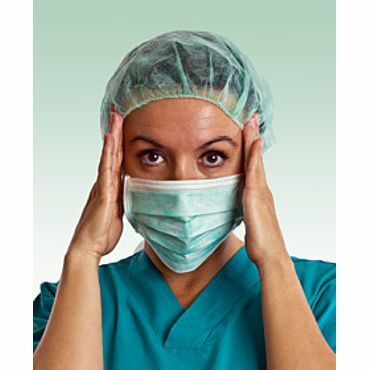 The AHLA says, "While many drugs may work to some degree for women, doctors are reluctant to prescribe them, and drug companies aren't exactly falling over themselves to test existing or new drugs specifically for their ability to prevent and treat female-pattern baldness." The only FDA-approved treatment for hair loss in women is 2 percent minoxidil, although some doctors will prescribe other drugs off-label.